Originally from Vancouver, Ken is an American trained chiropractor with a Doctor of Chiropractic degree from Life Chiropractic College West in California. After suffering back and neck pain from a serious motor vehicle accident, Ken sought the help of many practitioners, including a chiropractor. After seeing the benefits that chiropractic could achieve, he decided to train as a chiropractor. Since graduating, Ken has run many successful clinics in Europe and South East Asia, to finally returning to his family roots in Scotland. Ken recently moved to Edinburgh with his wife and two children, where they feel at home. 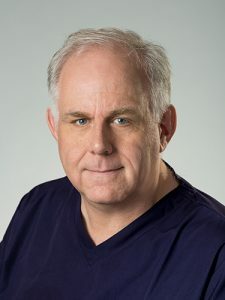 Ken combines chiropractic with soft tissue techniques and medical dry needling in order to get results. He prides himself in providing an evidence-based practice in order to help his patients. If Ken is not able to help you, he will tell you and refer you to someone that can. To book an appointment today please go to our online booking or call the clinic at 0131 235 2795.